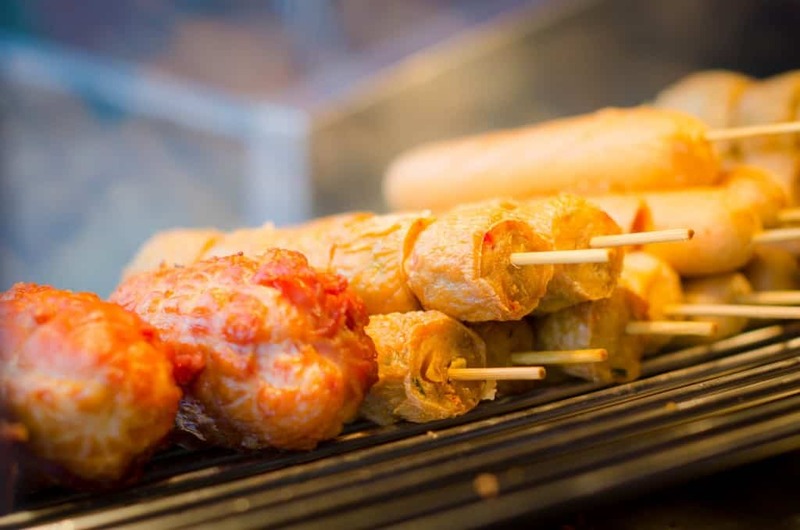 Get your barbecue ready for some delicious grilling! 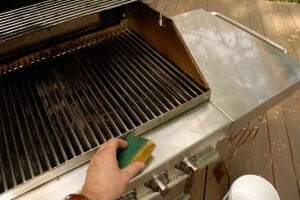 Expert advice on how to clean and fix a barbecue, including removing charred food from the grill, cleaning burners, and more. Also, basic barbecue repairs. Cleaning a barbecue is easy and makes a dramatic difference in its appearance and operation. Is your barbecue grill looking a little worse for wear? Funny thing, but when guests see you throw a slab of meat on a grill that is blackened with crud and ash, they tend to lose their appetites. Not only is a barbecue that’s covered with caked-on grease and food residue unsanitary, but its burners can also cease to work efficiently. If this is the condition of your barbecue grill, there is no time like the present for a clean- up. Below are easy-to-follow directions that show you how to clean a barbecue. Though the barbecue shown here is a typical stainless-steel gas barbecue, the techniques are relatively universal for all barbecues. If you have the manufacturer’s instructions, be sure to follow them. 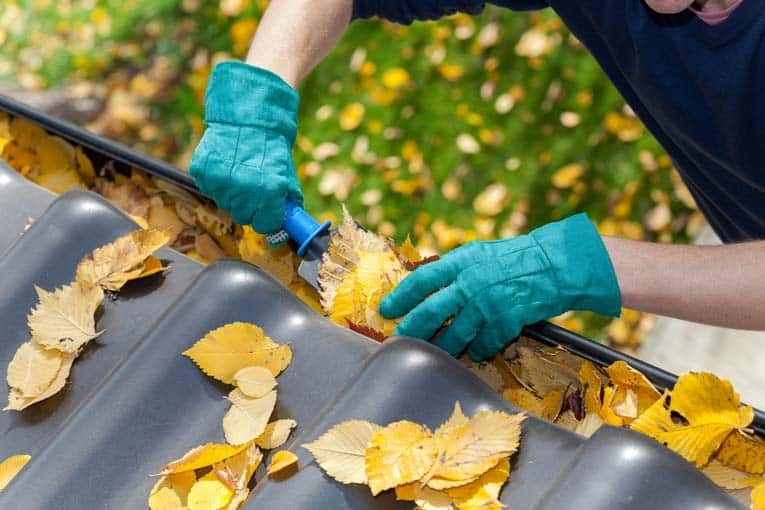 You’ll need a couple of newspapers, latex gloves, a bucket of soapy water, a water hose, oven cleaner, a barbecue scraper/ brush, a sponge with an abrasive back, and a scouring pad. Remove the barbecue grills and burner covers. 1If yours is a gas or propane barbecue, turn off the fuel at the source. Open the barbecue cover and lift out the grills and burner covers (if your barbecue has them). Using a scraper/brush, scrape and brush ash and residue from the grills. 2Scrub the burner covers in a bucket of water, rinse, and set aside to dry. 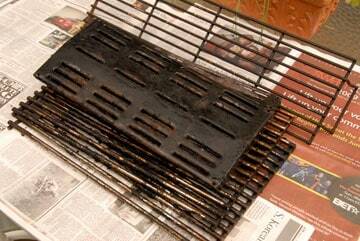 Spread out the grills on a few layers of newspaper on a surface where you can hose them off later, such as a driveway. Lay grills on newspaper and spray with oven cleaner. 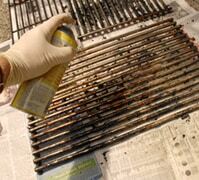 3Following the directions on the can, spray oven cleaner onto the grills, coating both sides. Allow the caustic cleaner to “work” per the label directions. Wear latex gloves and don’t get the oven cleaner or its residue on your skin or in your eyes. Avoid breathing the fumes. Scrub grills with a scraper/brush. 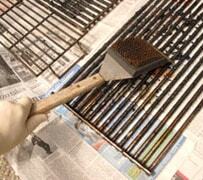 4 Wearing latex gloves, use the scraper/brush to scrape and brush the baked-on residue from the grills. Use a wire brush to scrub the burners. 5Once you have removed most of it, use a scouring pad to remove any stubborn matter. Rinse the grills with clear water as you work and, when you’re finished scrubbing, rinse the grills thoroughly. Slide out or remove the ash tray, if your barbecue has one, and scrape its contents into a garbage can. Scrub the tray with a scraper/brush, clean it with soapy water, and rinse. 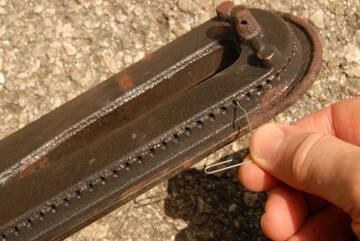 After removing burners, clean gas ports with a paper clip. 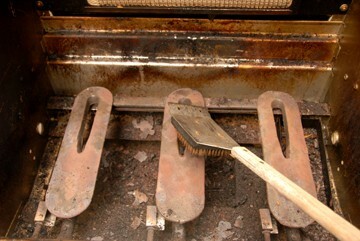 6If the burners are not operating properly, you will need to remove and clean them. Scrub the surfaces with a wire brush. Then find the screw or cotter pin that holds each burner in place and remove it. Then simply lift out the burner. Clean any obstructions from the gas ports, using a paper clip as shown. 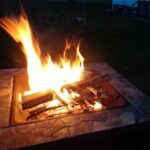 If the barbecue electronic ignition starter doesn’t work, see How to Fix a Barbecue Starter Quickly & Easily, below. Clean barbecue surfaces with soapy water. 7Replace all the components. Use a sponge and soapy water to clean a barbecue’s surfaces. 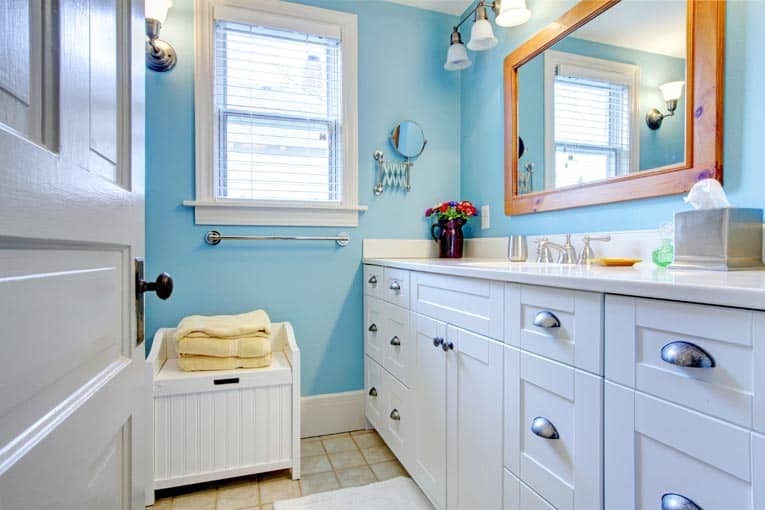 A non-toxic stainless-steel cleaner can also be very effective at removing grime. For stubborn stains or residue, use the abrasive side of an abrasive sponge (not steel wool or SOS) to gently scrub. Be very careful not to scratch the finish. Then rinse and buff dry with a clean rag. After you clean a barbecue, it’s important to take care of it. To keep your barbecue grill from building up residue, after cooking, remove all food and then close the barbecue lid and allow it to cook on high for another 5 or 10 minutes. Allow the grill to cool and then scrub it with a barbecue brush. To avoid bacterial contamination, be sure to cook only on a clean grill and to let it heat up before putting food onto it. If you have a gas grill, periodically turn off the gas supply to the barbecue and check the burner orifices to make sure that they are not clogged with meat drippings. You can use a brush and/or a paperclip to clean them. Gas barbecues with electronic starters are amazingly convenient: You just turn a knob, push a button, and PRESTO, you have fire. Then again, after using this type of barbecue for a few seasons, you may find that you push the starter button and there is no ignition spark…gas just keeps billowing out of the burners, creating a combustible hazard. Be careful when doing this! The gas should ignite within a couple of seconds. If it doesn’t, turn the burner off and fix the starter before proceeding. This work-around will allow you to barbecue on schedule. Then, when you have a few more minutes, fix the electronic barbecue ignitor as described below. Here’s how to fix a barbecue starter: Just replace the AA battery. 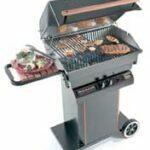 In most cases, fixing an electronic barbecue starter is a surprisingly simple job—it’s just a matter of replacing the battery inside the device that’s used to provide the spark. 1) Just unscrew the trim around the starter button by turning it counterclockwise. 2) Pull the button out. Behind it you should find a AA battery. 3) Pull out the battery and replace it with a new one. 4) Replace the button and the trim. 5) Try it out. The chances are very good that it will work now! 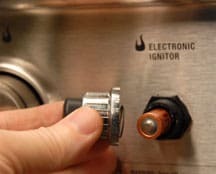 If that doesn’t do the job, you’ll need to replace the electronic ignitor, which involves disassembling the part and replacing it with an exact match, which you can buy online from an appliance parts dealer. To remove the old ignitor, just follow steps 1 to 3, above. Then, using a screwdriver, press in on the mounting tabs that lock the ignitor to the barbecue. 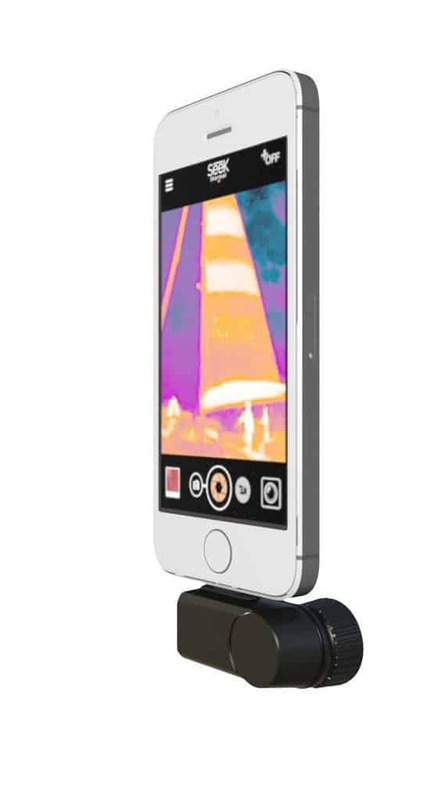 Push it through the mounting hole and remove the wires from it. Then install the replacement by reversing these procedures.